Enjoy your favourite Mexican recipes with our mini tortillas! 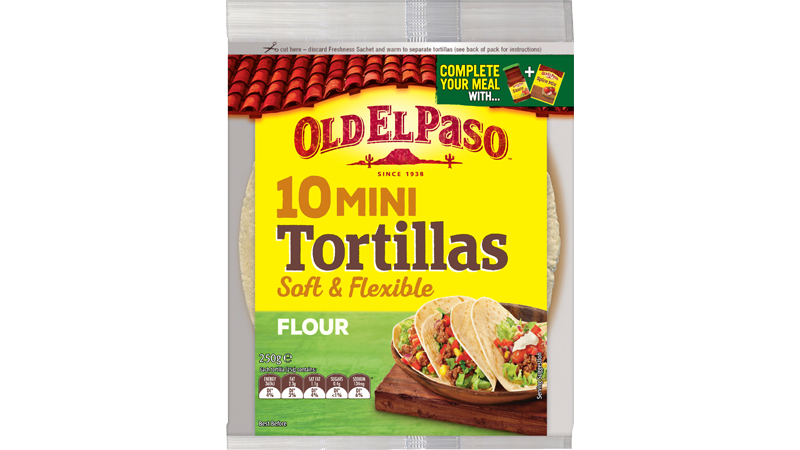 Even softer and more flexible than before, these Mini Tortillas are ideal for making Soft Tacos, a Mexican street food favourite. They’re also perfect for little hands! #MakeItYourWay with seasoned mince beef, shredded chicken or beans, then add fresh ingredients, like tangy salsa and you’ll have a meal that will get everyone around the table in seconds.